Peanut allergy is one of the most common food allergies. 1 in 50 children in the UK are susceptible and it can be a lifelong condition. Peanuts are different to nuts such as cashews and almonds, which grow on trees. They are leguminous plants, which grow underground. It has been found that up to 40 percent of people who are suffering from a peanut allergy are also allergic to tree nuts. In England, an estimated 4,000 people are diagnosed with a peanut allergy per year, which equates to 11 per day. 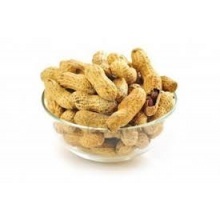 Peanut allergy cases have tripled in the last decade and 30,000 cases are hospitalised due to anaphylaxis every year. Anaphylaxis is a severe, potentially life-threatening allergic reaction also known as anaphylactic shock. The symptoms of peanut allergy are similar to other allergies. Generally, symptoms occur within minutes of exposure to the peanut protein that causes the allergic reaction. It is important that people who suffer with a peanut allergy should be aware of the problem as even a small quantity of peanut can trigger an adverse reaction. There is no specific treatment to cure a peanut allergy. Because peanuts often come in contact with tree nuts during the manufacturing process, patients suffering from peanut allergy should also avoid products containing tree nuts. Sweets such as cookies, pudding, pies, hot chocolate etc.